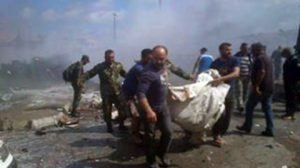 Damascus, SANA -The Cabinet condemned the terrorist blasts which hit cities of Jableh, Tartous, and al-Qamishli and the terrorist attacks, with mortar shells, on some areas in Aleppo, Nubbul, al-Zahraa and Daraa which killed and injured dozens of innocent civilians. 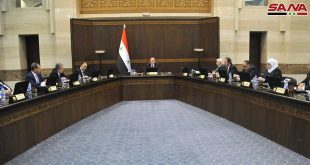 Prime Minister Wael al-Halaqi said, in a statement on Monday, that the escalation of terrorist actions in a number of Syrian areas comes upon orders form the terrorist organizations’ backers and financers on top Qatar, Saudi Arabia and Turkey in an attempt to hide the victories achieved by the Syrian Army at all fronts and to raise the morals of the terrorists to achieve false victory on the ground. 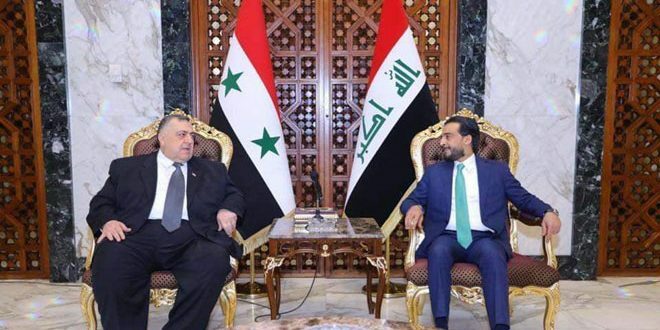 Al-Halaqi affirmed that the coward terrorist actions, which aim at destabilizing the country, would not derail Syrians from continuing their daily life and taking part in rebuilding and enhancing the capabilities of their country as well as facing challenges. The Prime Minister held the international community legally and morally responsible for those terrorist actions, demanding it to interfere and put pressure on the states backing terrorism which threatens the international security and stability. He affirmed the government’s care for combating terrorism, enhancing national reconciliation and facing the repercussions of the economic and media war which targets the national economy and the Syrian state. 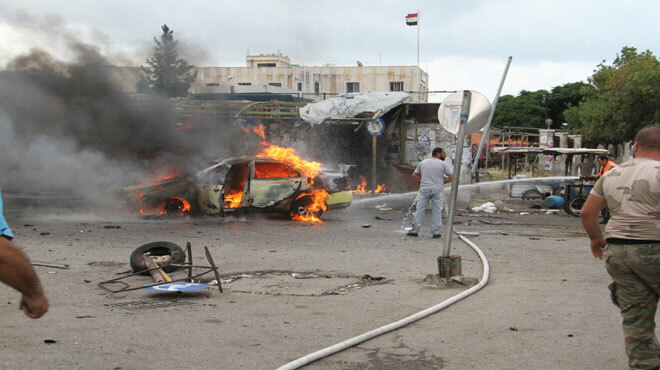 Earlier in the day, a series of terrorist explosions hit the two cities of Jableh and Tartous claiming the lives of tens of civilians, while another terrorist blast hit the eastern city of Qamishli on Sunday leaving a number of civilians killed and injured. Information Minister Omran al-Zoubi also condemned the terrorist bombings, affirming in a phone call with al-Ikhbariya TV that terrorist bombings, killing, assassination and targeting civilians reflect the nature of terrorist organizations and their escape from the real confrontation with the Syrian army. 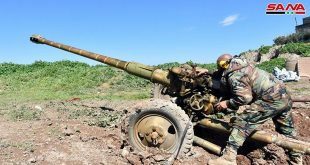 What happened today in Jableh and Tartous reaffirms that terrorist organizations like Ahrar al-Sham, Jabhat al-Nusra and ISIS are groups of cowards and killers unable to confront the Syrian army, the minister said, adding that those terrorist groups should know that we will not forgive them and they will pay a high cost for their crimes. Likewise, Religious Endowments (Awqaf) Minister Mohammad Abdelsattar al-Sayyed and Grand Mufti of the Republic Ahmad Badreddin Hassoun condemned the terrorist bombings, with al-Sayyed saying that these attacks show that Takfiri Wahabi terrorism targets all Syrians without distinction and aim at spreading strife and division, while Hassoun noted that Jableh and Tartous host over 1.5 million displaced people from various areas in Syria who had sought refuge in the two cities from terrorism. In a statement, the Regional Leadership of Al-Baath Arab Socialist Party condemned the series of terrorist attacks that targeted civilians in Tartous, Jableh, Qamishli, and Deir Ezzor, saying that these barbaric attacks were carried out by terrorists upon receiving instructions from the Saudi regime to punish the Syrian people. 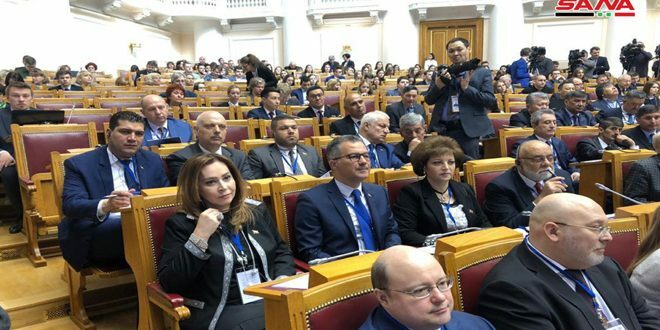 In a similar statement, the National Council for Media condemned the terrorist attacks, as did the National Initiatives for Syrian Kurds, Al-Ahed National Party, Syrian Social Nationalist Party, Arab Socialists Movement, the Syrian National Youth Party, and the Union of Levant Scholars. The General Union of Farmers, the Teachers Syndicate, the Lawyers Syndicate, and the Artists Guild also condemned the terrorist bombings. 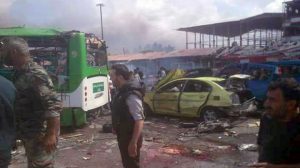 Spanish interim government condemned the terrorist brutal explosions that targeted the two cities of Jableh and Tartous and claimed the lives of scores of innocent citizens and injured others. 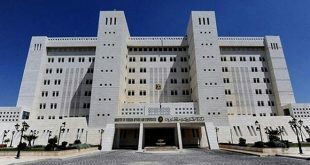 Spanish Foreign Ministry said in a statement that the government of Spain affirms solidarity with the Syrian people and underlines the necessity for the international community to actively and effectively continue its work towards political solution for the crisis in Syria. 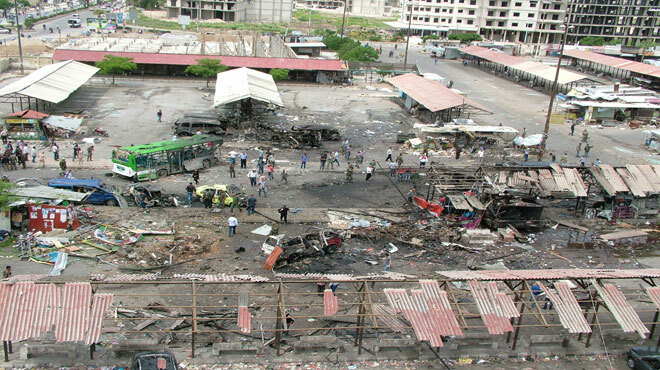 The government offered condolences to the families of the victims and wished quick recovery for the injured ones. 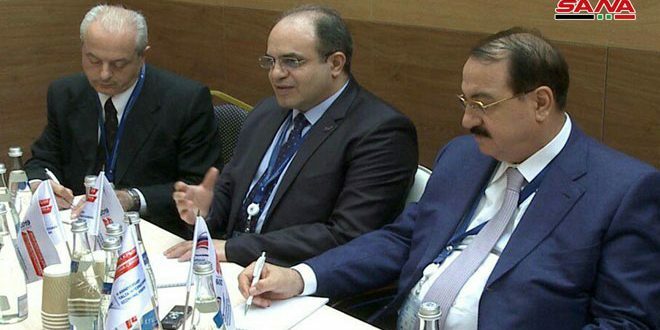 The statement urged all sides to work for resuming intra-Syrian dialogue and cooperate for realizing the cessation of hostilities which is considered a corner stone for mobilizing forces and enhancing them in facing the brutality and barbarism of the ISIS terrorist organization. 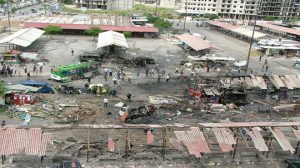 On the international level, the Russian Foreign Ministry condemned the bombings in Tartous and Jableh, saying that these terrorist crimes seek to undermine the cessation of hostilities agreement and the political settlement efforts for the crisis in Syria. In the same context, the Czech Foreign condemned the attacks and offered deep condolences for the families of the victims. 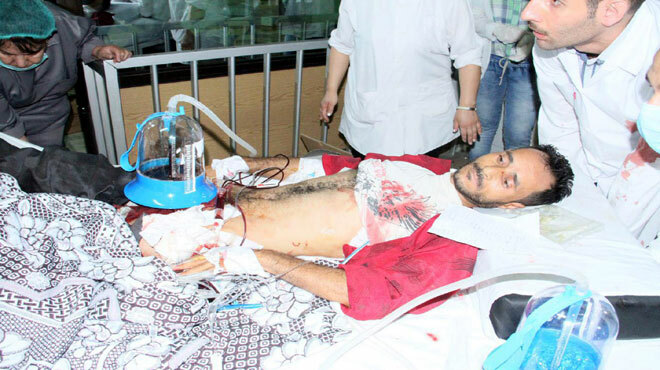 Egypt also condemned the terrorist explosions as the official spokesperson of the Egyptian Foreign Ministry Ahmad Abu Zaid said in a statement that these terrorist, successive explosions and the way of their execution in the markets and residential neighborhoods indicate the brutality of their perpetrators. Meantime, Germany strongly denounced the attacks. 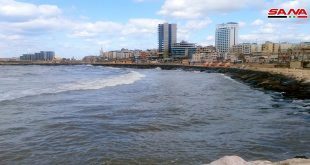 “Germany strongly denounces the terrorist, bloody attacks in Tartous and Jableh,” German Foreign Ministry said in a statement, affirming the need for combating terrorist organizations. 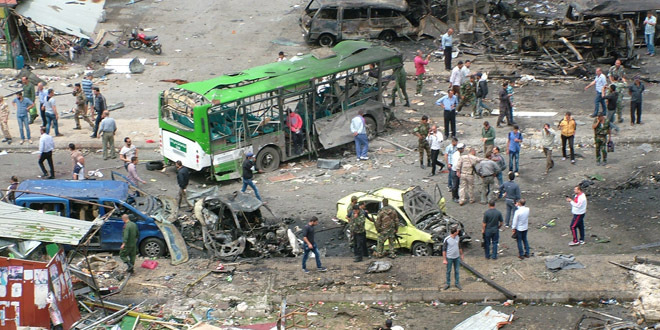 Meanwhile, UN chief Ban Ki-Moon condemned the terrorist attacks in Tartous and Jableh. 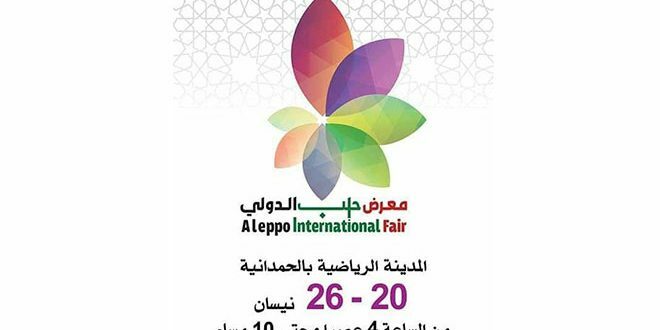 AFP quoted Stéphane Dujarric, Spokesperson for UN the Secretary-General as saying that Ki-Moon called on all UN member states to move, immediately and collectively, to end the crisis in Syria.